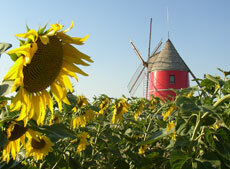 Come at the tourist office to find places or ideas of Lauragais weekends. Emblematic, intimist or imposing, discover the films of the Great Sites of Midi-Pyrenees on our screens. Make your food hamper with our best products in the shop.